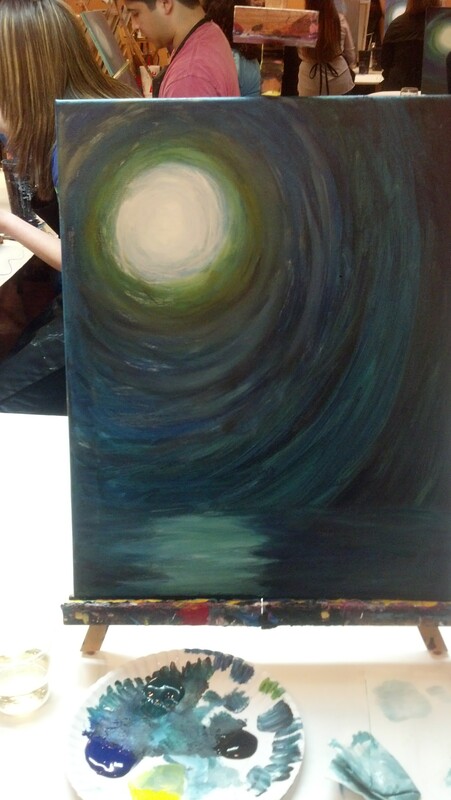 This entry was posted in Uncategorized and tagged painting classes by redkeeney. Bookmark the permalink. 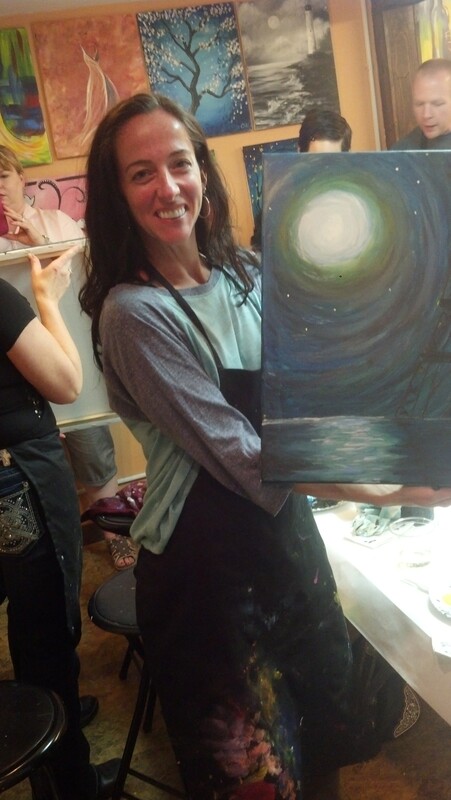 love the picture, Robyn….the picture of you with your picture….I’m taking that hint too! That WOULD be fun. Still considering searching for a “train to San Antone”. If I do, I might be good at that painting thing; I stopped after 8th-grade Art, but only because my pencil-sketch didn’t look like what I intended, so that “no sketching” deal might be a plus for me. Yours looks very nice, but please please please don’t make me paint when I come visit. I totally want to do this, but I would stink at it, I’m sure. Probably laugh at myself the whole time (also not taking my art seriously). 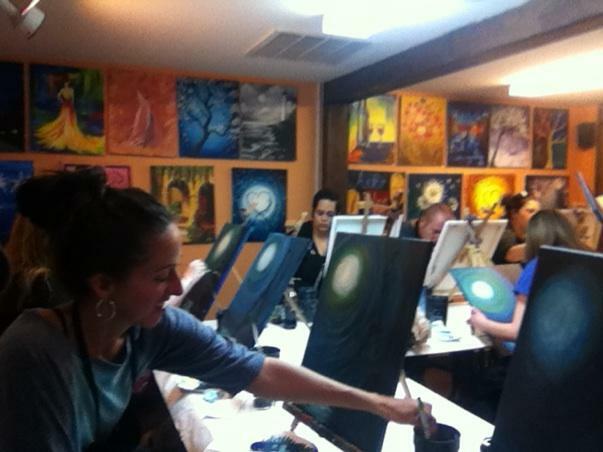 Your picture reminds me of “Starry Night.” I’m glad you emailed me about this post because I got to see the others I hadn’t known about also. Your condo looks really nice. Care to take more pictures now that you have furniture in? First, I love your painting! Second, I love Mel’s comment. Hilarious! I will totally do this when I come visit you, and mine will look terrible and it will be awesome. We’ll make sure it’s displayed prominently in your condo. Max will love it.